Energy drink Rich Energy, a start-up brand recently linked to billionaire West Ham United soccer club owner David Sullivan, is to become title sponsor of the Haas Formula One team in a multi-season deal starting next season. Rich Energy had previously expressed an interest in buying Force India before the financially-stricken Formula One team was rescued in July by a consortium led by Canadian billionaire Lawrence Stroll. US-owned Haas announced the deal at the Mexican Grand Prix on Thursday but gave no details other than saying a significant change of livery would be involved. 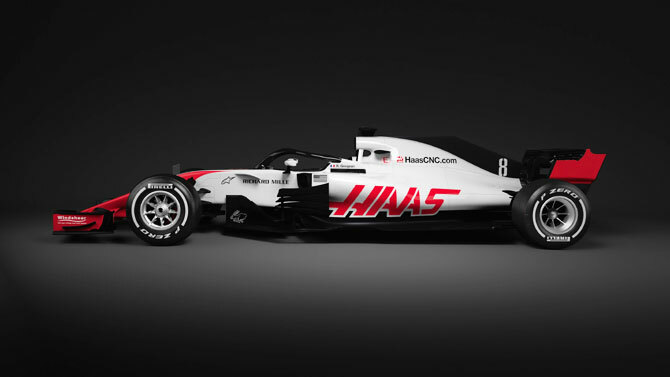 "Our partnership with Haas F1 Team ensures we have a prized asset on which to build our global marketing efforts," said William Storey, chief executive of the London-based company, in a statement. Storey announced on www.linkedin.com on October 12 that Sullivan, West Ham's co-chairman and majority shareholder, had taken a 'significant stake'. The Rich Energy website (www.richenergy.com) also includes the West Ham women's team among its brand ambassadors. Haas, who enjoy a close technical partnership with Ferrari, are fifth in the Formula One constructors' standings. Grandmaster and former world junior champion Abhijeet Gupta crashed through the solid defenses of higher-rated compatriot Vidit Gujrathi in the fifth round of Isle of Man International Chess tournament in Isle of Man, UK, on Thursday. Getting a balanced position out of the opening, Gujrathi fumbled in defence and lost a pawn while going for mass exchanges and the resulting endgame was child's play for the 29-year-old Gupta. In the sixth round, Gupta will take on Hikaru Nakamura and Adhiban is up against Levon Aronian of Armenia. Anand will try to make his white pieces count against Daniel Fridman of Germany and Gujrathi will hope for a big comeback against Mikhail Antipov of Russia. Important results round 5 (Indians unless specified): Abhijeet Gupta (4.5) beat Vidit Gujarati (3.5); S. P. Sethuraman (3.5) drew with Dennis Wagner (Ger, 3.5); Nihal Sarin (3.5) drew with B. Adhiban (3.5); Zoltan Almasi (Hun, 3.5) beat Vishnu Prasanna (2.5); R. Praggnanandhaa (3) drew with Georg Meier (Ger, 3); Swapnil Dhopade (3.5) beat Aryan Tari (Nor, 2.5); Vaibhav Suri (3) drew with C. R. G. Krishna (3); Surya Shekhar Ganguly (3) beat Nikolas Lubbe (Ger, 2); Debashis Das (2.5) drew with Soumya Swaminathan (2.5); S. Kidambi (3) beat Abhimanyu Puranik (2). Sourav Kothari ousted local challenger Martin Goodwill with clinical brilliance to storm into the semi-finals of the WBL World Billiards Championship in Leeds on Thursday. He won 933-551 and in the process notched up a big break of 378 points. Apart from this, he had breaks of 210, 98, 53 and 52. Kothari remains as the only Indian in fray for the coveted World title. He will meet the former World champion David Causier of England in the semifinals. The other semi-finals will be played between Rob Hall of England and Peter Gilchrist of Singapore. Earlier in the competition, Kothari defeated Paul McGowan of Scotland 653-163 in the round of 32 and comfortably got past Ryan Mears of England 532-375 in the pre-quarters with fine runs of 110,169 and 97.